Facebook is a fantastic tool for businesses and internet marketers to enhance their profile online, reach out to people who share their views and sell their products or services. 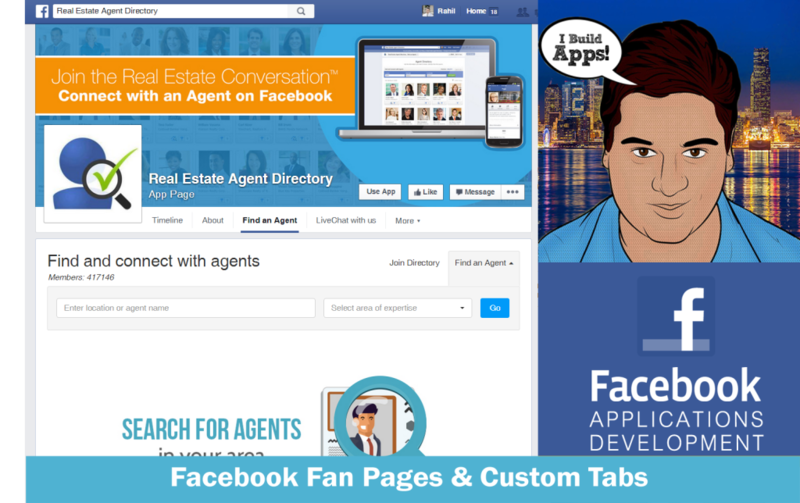 With a Facebook app you can do just about anything with your page, want to welcome new customers via a welcome page? Well you can do that and also get your prospective customers to like your page. Need to show the latest presentations on your new deal? You can share slides and presentations through apps like slideshare and much more. Want to run a campaign to find out if your customers like your new products? you can create an app that will allow you to run a fun quiz survey or raffle competition and allow you to tap into your fans to market your service or product straight onto their wall.Need more emails for marketing? your app will allow you to harness the power of email marketing directly to the customer who want your product. What can our development team do for you? We love designing applications and never find it boring at any time as it’s something we love to do with a passion. We know you are passionate about your business so we know when it comes to application design and development for Facebook you are going to get the best from us.